When working with web forms on web development. Preventing spam is important process. But most of the developers are feel Captcha is very big process, nothing like that. 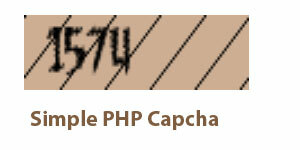 Here is the very simple Captcha developed in PHP with custom font rendering option. You can change the look and feel based on your project need. Now I am going to generate a 4 Digit Random number and than store into session variable using ($_SESSION). 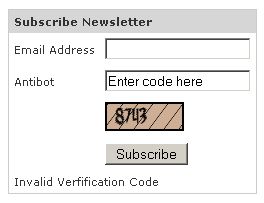 Based on the 4 Digit Random number I will generate a simple capcha with the custom font feedbackbb.ttf. 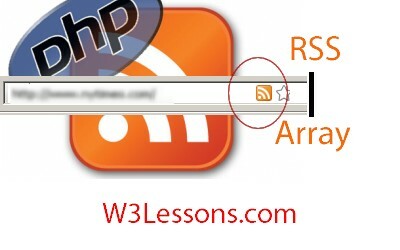 Working with RSS feed is more usefull to promote your website as well as you can get relevant content for your website from another website using RSS Feed, Let us write a code how to to get RSS feed content from RSS URL. Using PHP GD Library we can create Pie Chart with imagefilledarc function, Let us create a Simple Pie Chart with this function and we will look how to work with pie chart in dynamic content. in future. Creating Search Engine Friendly page URL from your Page Title / heading will very helpful to generate a Highly optimized keyword rich URLs for your Website, Here is the function to get the Search Engine Friendly SEO Friendly Page URL from given string. while you are generating Dynamic content. To get the Alexa Traffic Rank is very informative to show in your Back office Interface or Admin Panel dashboard to know website traffic details instantly. Most of the clients are request to show Alexa Rank on Admin Panel here is the Script to get Alexa Traffic Rank. 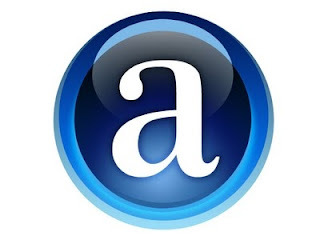 Function to get Alexa Rank. 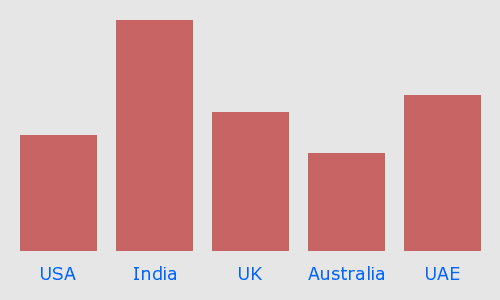 here is my SimpleBar Chart class to create a dynamic bar chart for your projects. you can easily add any number of columns and values also you can change your color scheme on base class. Thumbnail on fly is very useful trick to reduce page load also gain page loading speed when loading a page from server. But Thumbnail is also stored as a Image file and retrieved from server with http request. If your website getting high volume traffic you need to consider http request by reducing number of Request. Now days the Modern browsers support Image Data URI. data URIs have now been implemented in most browsers. Web browsers are usually configured to make only a certain number (often two) of concurrent HTTP connections to a domain, so inline data frees up a download connection for other content. For Image manipulation PHP offers variety of functions. When working the Image processing in live projects, thumbnail of fly. Image Resize is often used by us. Working thumbnails and resize process. The Image Format such JPEG is not a problem but working with PNG, GIF Images with Transparency it creates a block overlay on alpha channel. Here is my solution to resolve this Issue of Alpha fixes. // Out put the new resized image with Transparency. If your website move on to a traffic worthy website. you need to work with multiple database for load balancing and overhead distribution. So we need to work with multiple database on single project. MySQL and PHP provide some efficient logic to handle multiple database on single project. 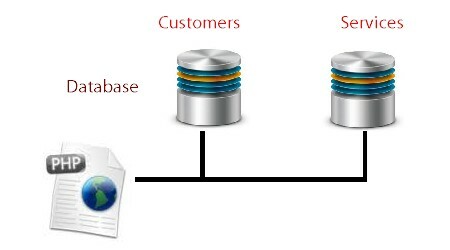 Let us see how to work with Multiple database in efficient way. Example Project working with Multiple Database. Horizontal and Vertical Centered Element is very use full for any layout. HTML & CSS Code for Horizontal and Vertical Centered Div. The CSS used for this layout is 100% valid and hack free. 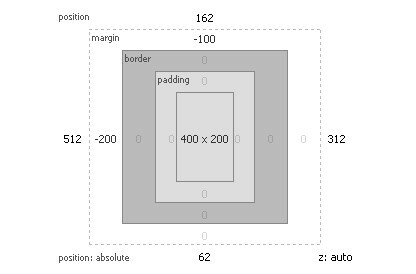 To overcome Internet Explorer's broken box model, no horizontal padding or margins are used in conjunction with a width. Instead, this design uses percentage widths and clever relative positioning. The higher up content is in your page code, the more important it is considered by search engine algorithms (see my article on link source ordering for more details on how this affects links). To make your website as optimised as possible, your main page content must come before the side columns. This layout does exactly that: The center page comes first, then the left column and finally the right column (see the nested div structure diagram for more info). The columns can also be configured to any other order if required. This layout is fully compatible with resizable text. Resizable text is important for web accessibility. People who are vision impaired can make the text larger so it's easier for them to read. It is becoming increasingly more important to make your website resizable text compatible because people are expecting higher levels of web accessibility. Apple have made resizing the text on a website simple with the pinch gesture on their multi-touch trackpad. Is your website text-resizing compatible? When designing a web interface. get the clear idea about target audience taste and what their like and dislikes and what they are looking for on web. and consider the following ideas. The first thing you do when you design a Web page is you start with a blank page and you place elements on that page. Placement of your elements can be critical to whether your design works or is a dismal failure. It's time to break your old habits and admit that using tables for layout is outmoded and lazy. 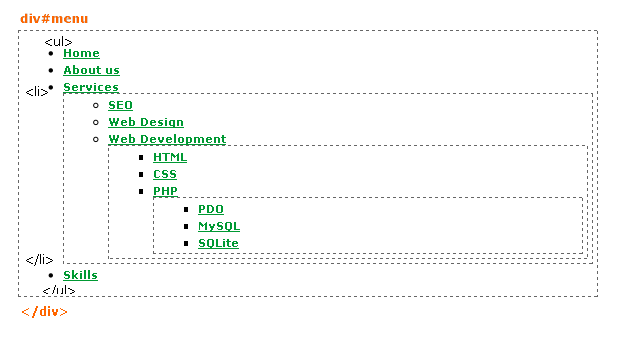 Table Layout make your html size nominally high. and It's time to move on to CSS layouts, as your excuses just won't hold water for much longer, and why keep bailing when you could join the rest of us at the helm! Learn why you should use CSS to position your pages rather than HTML tables. as a result CSS Layouts are render quickly when consider the table layout. The parts of a Web page can be broken down into five distinct elements: images, headlines, body content, navigation, and credits. Most Web pages will include all five of these items, but do you know what they all are? Work your layout with grid system, you often have more control over the horizontal sizes than you do about the vertical. So grid layouts become columnar layouts. This gallery shows how grids can create dynamic layouts with various numbers of columns. Grids are an important part of layout in Web pages. They are a great way to impose order on your Web pages and provide balance to your layouts. Learn how to use CSS floats to lay out your Web pages in any fashion you like, without changing the HTML. Putting the most important content first in the HTML gives robots and search engines a leg up in knowing what content is important.